Electronic Press Kit (EPK) of the newly released album "Awakening" by Itaiguara Brandao. 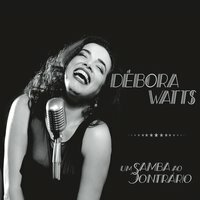 For more info, please visit www.itaiguara.com Available at CD Baby (http://www.cdbaby.com/cd/itaiguara) and iTunes https://itunes.apple.com/us/album/awakening/id995730930). .... Transcript: Hello, My name is Itaiguara. I'm a bass player, guitar player, composer, arranger from Brazil, living in New York City.